Our endeavor is to help the students of Martin Luther College become well-informed individuals. We encourage our fellow students to develop insight and understanding about a variety of intellectual topics and accomplish this by putting on Aulics throughout the school year. 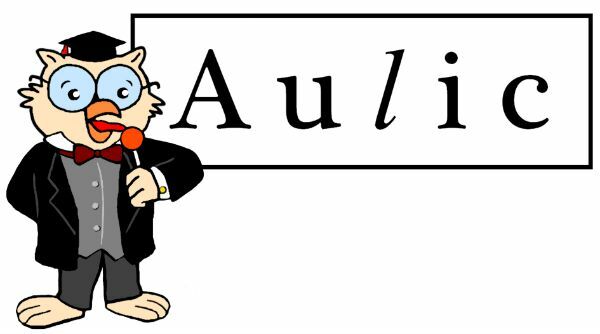 An Aulic is a free, informative presentation on a relevant subject based on the research of a highly qualified individual. Aulics from previous years can be viewed on the Archives Page. 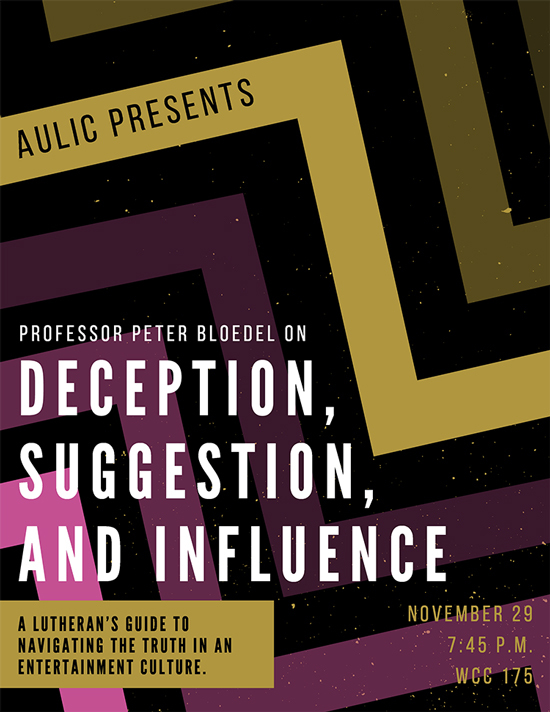 Deception, Suggestion and Influence: A Lutheran’s guide to navigating the truth in an entertainment culture. Can deception exist even if the deceiver thinks that he/she is telling the truth? Today it is more important than ever to identify and discuss the hidden deceptions and suggestions woven into the fabric of modern culture that can instill false “truths” and beliefs. We live in a world where mixed, or even covert, messages in popular entertainment are blitzed at us faster than we even know how to process them. This presentation explores elements of dramatic/entertainment theory and practice, and identifies common elements that make “the power of suggestion” work. Professor Peter Bloedel chairs the Theatre Department at Bethany Lutheran College in Mankato, Minnesota.